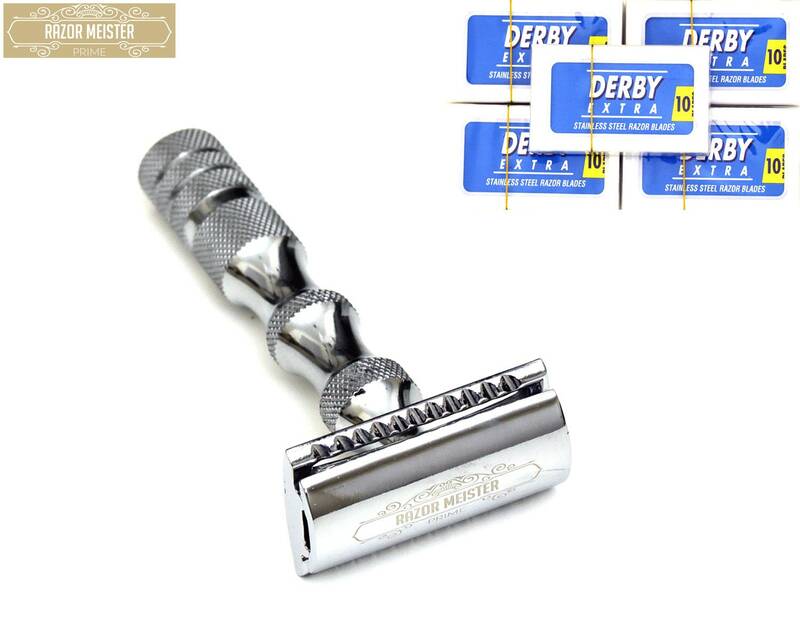 DOUBLE EDGE RAZOR DESCRIPTION: HIGH QUALITY STAINLESS STEEL DOUBLE EDGE SAFETY RAZOR, STAINLESS HANDLE, TEXTURED HANDLE FOR GRIP & FEEL, MIRROR FINISH CLOSED COMB HEAD, COMES WITH 50 DOUBLE EDGE PROFESSIONAL DERBY BLADES. 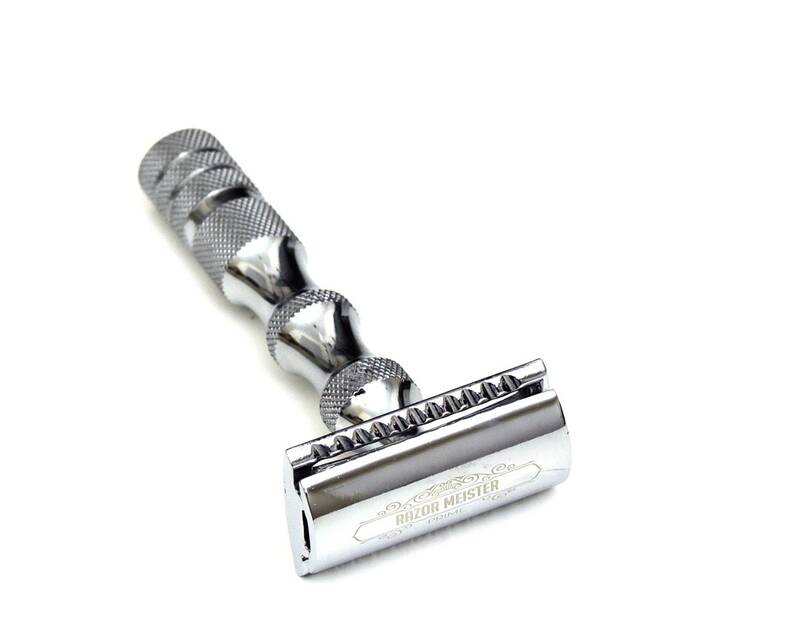 This nostalgic handle is constructed with solid 303 stainless steel so it is long-lasting, corrosion-resistant, and unique. 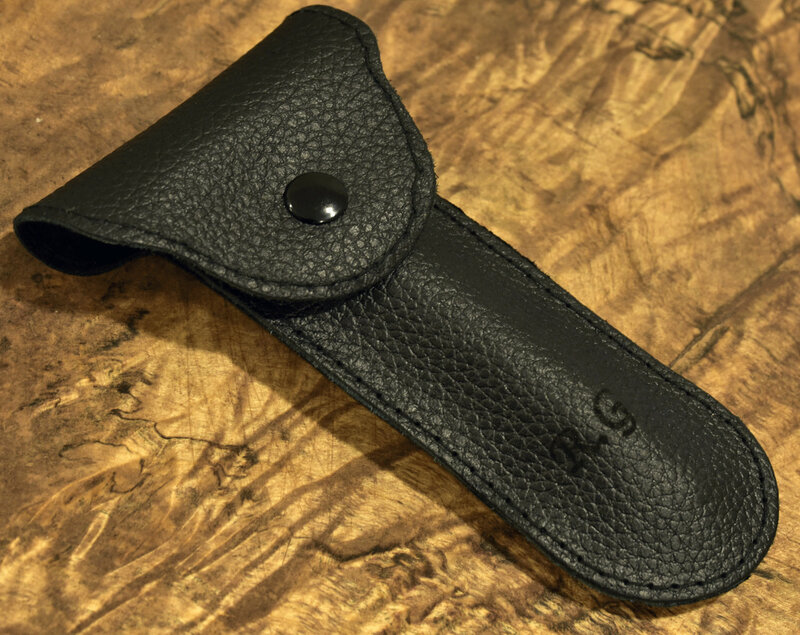 The curving and knurling on this handle are like the knobs or knuckles on a bamboo shoot. 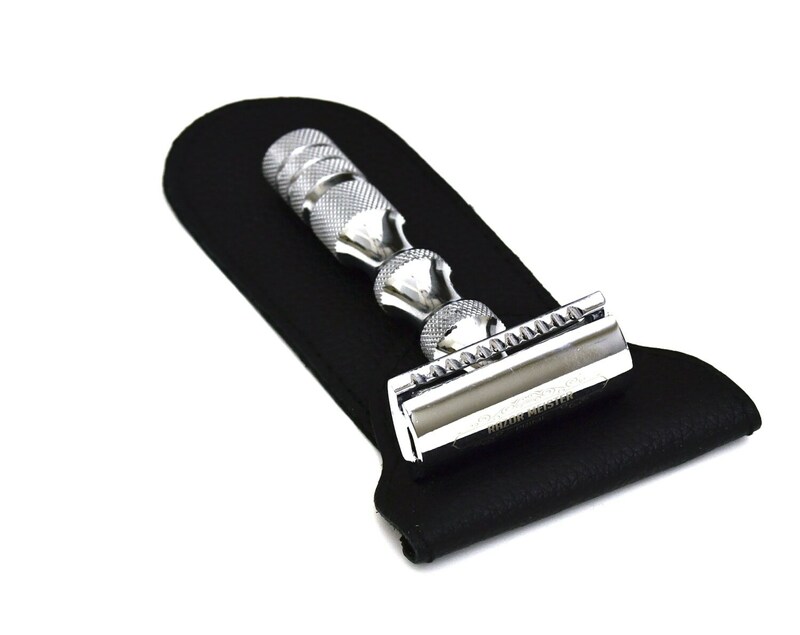 It helps you keep a firm grip on your grooming utensil. 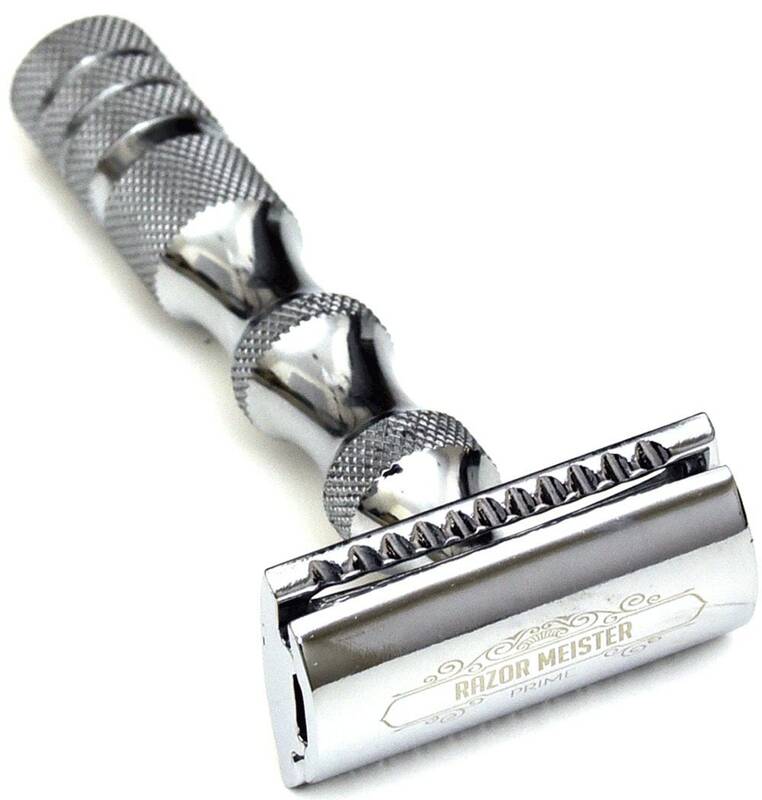 The heads are zinc-alloy with mirror finish hard chrome plating. 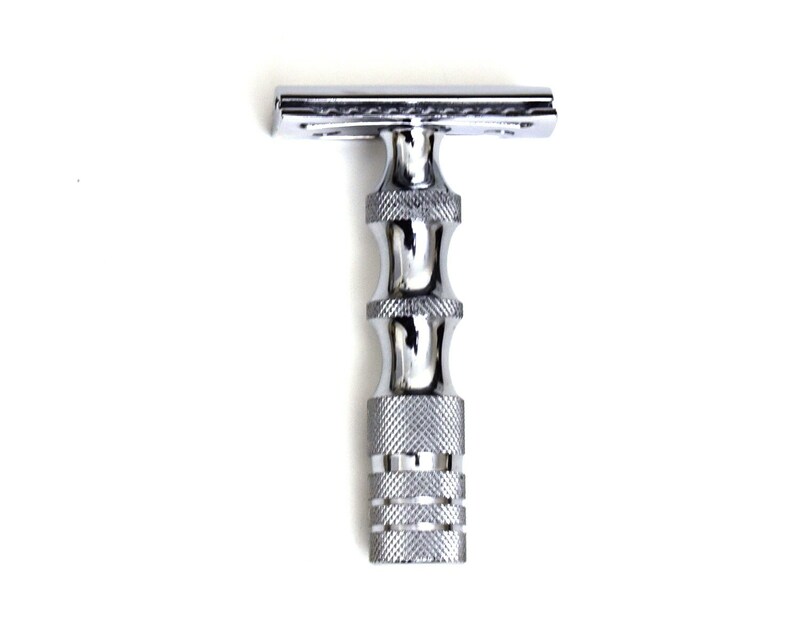 This razor comes with a closed comb head. 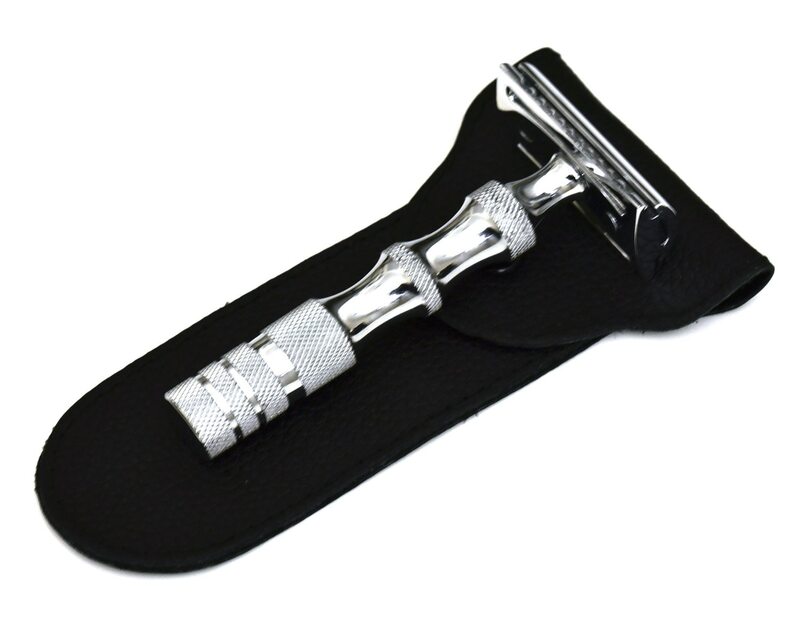 (The handle is compatible with most standard 3-piece, DE safety razors).